Snoring can be caused by a lot of different factors. However, studies have proven that people who sleep with their mouths open are most likely to snore during sleep, than people who sleep with their mouths closed. The reason why people who sleep with their mouths open are more likely to snore is that the air they inhale through their mouths can hit the back portion of the throat directly and it can cause vibration to the throat tissues and creates the snoring sound. If the primary cause of your snoring problem is due to sleeping with the mouth open, then you can take measures on how to keep your mouth closed while you sleep. Keeping the mouth closed while you sleep can help in reducing or even totally eliminating snoring sounds, since you will already be breathing through your nose. Snoring solutions have been famous for many years now and most of the snoring solutions can be bought over-the-counter without the need of having doctor’s prescriptions. 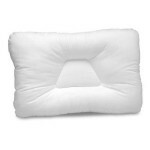 One snoring solution that is very effective in keeping the mouth closed during sleep in anti snore chinstraps. Chin straps are worn over the head and on the chin, to help in keeping the mouth securely closed when sleeping. If you are not comfortable in wearing something over your head and chin, you can opt for using anti snore chin strip. Chin strip do not require to be worn over the head and is only used by sticking the sticky part (with an adhesive) on your lower lip. A chin strip is a u-shaped adhesive that can help in keeping the teeth together and the mouth closed by chin support. Chin strips are over-the-counter and can be purchased in most pharmacies. Anti snore mouth guards can also help in keeping the mouth closed while sleeping. 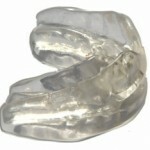 There are a lot of different kinds of anti snore mouth guard. But those anti snore mouth guards that are molded to the exact shape of your mouth and the exact location of your teeth are most effective. 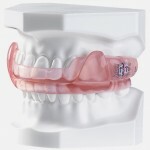 To ensure effectiveness and comfort of your anti snore mouth guard, you can have it molded by your dentist. There is this medical tape that can be bought in pharmacies that can be used to tape your lips closed while you sleep. 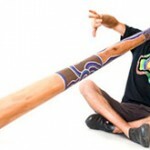 This type of method is very simple and it can be very effective to many people. All you have to do is to cut a narrow strip of medical tape and press it seal both your lips. Medical tapes can help in keeping your lips sealed while you are sleeping. Seek medical help. You can seek consult to your doctor to help you find effective snoring solutions for your snoring problem. Not all people find one snoring solution to be effective. It may take time to find perfect and effective snoring solutions.